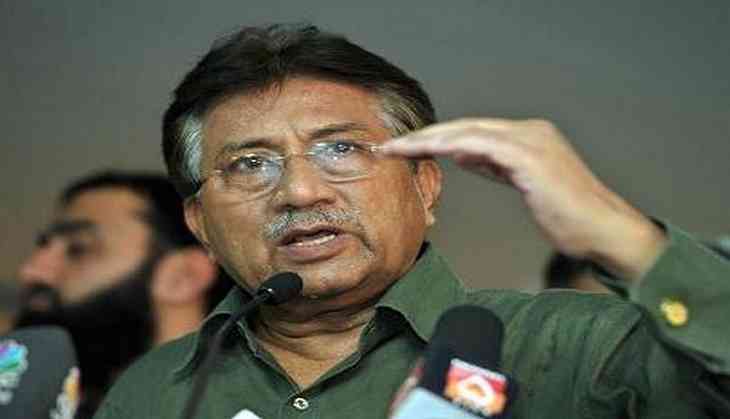 Former Pakistan president Pervez Musharraf, who earlier came in support of the terror groups like the Lashkar-e-Taiba (LeT) and the Jamaat-ud-Dawah (JuD), has now said that he would welcome an alliance with global terrorist and 26/11 Mumbai attack mastermind Hafiz Saeed for the general election in 2018. Responding to a question about having an alliance with JuD chief Saeed, Musharraf in an interview to Pakistan based Aaj News channel said, "so far, there has be no talks with them but if they want to be part of the alliance, I would welcome them,"
The former military ruler had last month announced the formation of a grand political alliance after a consultative meeting between representatives of around two dozen political parties, including the Sunni Tehreek, Majlis-i-Wahdatul Muslimeen, Pakistan Awami Tehreek (PAT) and Mr Musharraf's own All Pakistan Muslim League (APML). However, several parties dissociated themselves from Musharraf's Awami Ittehad alliance after he announced the formation of a "grand alliance" of 23 parties. According to media reports, two major partners of the alliance - the Pakistan Awami Tehrik and the Majlis Wahdat-e-Muslimeen - denied being part of the coalition headed by Musharraf. Saeed, who continues to be an influential person in Pakistan's certain religious groups despite being an internationally designated terrorist, announced on Saturday that he would contest the general election in 2018. The announcement comes days after the Lahore High Court ordered his release from the house arrest. However, the JuD chief did not disclose anything about the constituency he would like to contest from. Though, the JuD formed Milli Muslim League (MML) in August when Saeed was detained in Lahore, the party yet to be recognised by the Election Commission of Pakistan. Saeed is a wanted terrorist by India and the United States for his alleged role in masterminding the 2008 terror attacks in Mumbai that claimed 166 lives. He even carries a bounty of 10 million USD (approx. Rs 66 crore) on his head for his role in the attack. Musharraf had recently called himself as the "biggest supporter" of the LeT and its founder Hafiz Saeed. Speaking on Pakistan's ARY News, Musharraf said, "I am the biggest supporter of the LeT and I know they like me and the JuD also likes me." The former president added that he was always in favour of terrorist action in Kashmir, and the LeT and the JuD were the biggest forces to take on the Indian Army in the state.